As we prepare to celebrate World Water Monitoring Day, our EarthEcho Water Challenge Ambassadors are hard at work to engage their communities across the country in taking an active role to monitor and protect local water resources. The Water Challenge Ambassadors initiative, sponsored by Xylem Watermark, unites an outstanding group of young conservation leaders from across the country and equips them with tools and training to lead water monitoring and conservation efforts in their local communities while increasing their knowledge of water science and providing opportunities for them to expand their work in this field. As a key component of their role this year, our inaugural class of Water Challenge Ambassadors will host community based water monitoring events across the country over the next week, in recognition of World Water Monitoring Day on September 18. Dyson Chee will team up with Malama Maunalua, a local organization in his home state of Hawaii to present to local students about the importance of water monitoring and will also assist students in an invasive algae removal effort. Austin Dunlow is organizing a presentation on the campus of NC State University in Raleigh, NC to engage students in the EarthEcho Water Challenge and allow students to hear from a variety of guest speakers about careers in the environmental field. Participants will also take part in water monitoring and a lake cleanup. 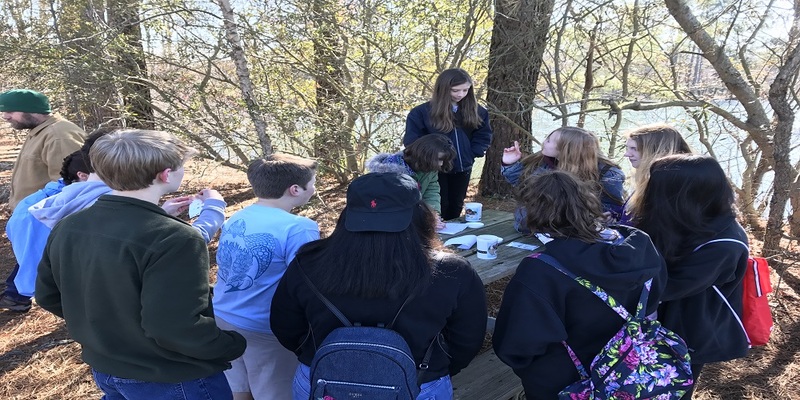 Kyra Stillwagon will take action to protect local waterways by leading her 8th grade science class in Savannah, GA through water quality monitoring. Aidan Karn will work with Brevard Zoo in Melbourne, FL to lead a hands on interactive station to engage zoo visitors in water quality monitoring and activities to teach them how they can take action to collect water quality data and protect the Indian River Lagoon. Maria Torres and Domingo Cortinez will team up to lead educational presentations on water quality monitoring and actions young people can take to protect water quality in south Florida during multiple classroom presentations at St. Agnes Academy. They will also highlight the impact of climate change in this region. Veronica Cunitz will lead an event at White Plains Beach in Oahu, engaging home school families in monitoring local water quality and taking part in a beach cleanup to help protect their local waterways. Jack Kincus, Katie Croom, and John Atwater will lead a presentation on the importance of water quality monitoring and opportunities to take part in the EarthEcho Water Challenge to high school students at Saint Edward’s School in Vero Beach, FL and will lead a hands-on water monitoring program for local students. Kaitlyn Chase will walk students at Palm Harbor University High School in Palm Harbor, FL through the EarthEcho Water Challenge and lead them through a hands-on water monitoring activity. Nashalie Irizzary will teach local students in Puerto Rico about water quality through a presentation, interactive games, and hands on water monitoring initiatives. Sydney Rico will work to educate and inspire local elementary school students to understand the importance of water quality by testing a local water sample with third grade students at Waples Mill Elementary School in Oakton, VA.
Ryann Jibson is organizing a beach sweep cleanup event and water monitoring activity for local high school and middle school students in Muskegon, MI. Danielle Daly will team up with a student led organization, Forest of Change, to lead a water quality monitoring program and beach cleanup for local high school students on Siesta Key Beach in Sarasota, FL. Carmela Dangle and Annetta Sheriff will work with elementary school students in Virginia to teach them about their local waterways, water pollution, and how to monitor water quality. Greyson Graham will team up with EarthEcho Water Challenge partner Love A Sea Turtle to lead a class of students through the EarthEcho Water Challenge at River Park North in Greenville, NC, home to the first EarthEcho Water Challenge field testing station. Rónán Selby-Curran will work with fellow home schooled students in New York City to monitor water at multiple sites in the city on World Water Monitoring Day, and will work with the local parks department to educate community members about water quality monitoring through a follow-up event on the weekend. Armon Alex will work with a local elementary school in Corpus Christi, TX to host an interactive booth, alongside other conservation focused organizations, to teach students about water conservation and engage them in monitoring local water quality using the EarthEcho Water Challenge. We encourage you to follow along with us on Facebook, Instagram, and Twitter for updates on the work of our Ambassadors, as well as World Water Monitoring Day events globally. You can also join the conversation on social media using hashtag #MonitorWater and visit www.monitorwater.org to learn how you can take action in your community to monitor and protect water resources.